You’ve probably heard the saying, “If you’re lucky enough to be Irish, you’re lucky enough.” But what exactly does the ‘luck of the Irish’ mean? Anyone familiar with the history of Ireland will tell you that the Irish have spent much of theirs battling adversity, subjected to conquests and invasions, a devastating potato famine that drove millions to distant shores, and civil war, among others. So, where did the expression originate and why? Does luck simply refer to the will and determination to overcome hardship and misfortune? The ability to maintain a positive perspective when faced with misfortune? Or something else entirely? There seems to be two schools of thought on the topic. According to Edward T. O’Donnell, an Associate Professor of History at Holy Cross College and author of 1001 Things Everyone Should Know About Irish American History, the saying is actually an old miners’ expression. O’Donnell explains on the website, Irish Central, that during the 19th century gold and silver rush in the US, a number of very successful miners of Irish and American birth found their ‘pot of gold’. At that time, the expression was considered a pejorative term, inferring that ‘only by luck’ did the Irish miners succeed in their quest for gold vs. knowledge, skill, hard work, and determination. Others believe the term comes from the legend of the ‘Little People’ or Leprechauns. According to Tour Ireland, finding or catching a leprechaun (who would then be required to give you gold) was a lucky event that could only take place in Ireland. Like many expressions, meanings change over time. 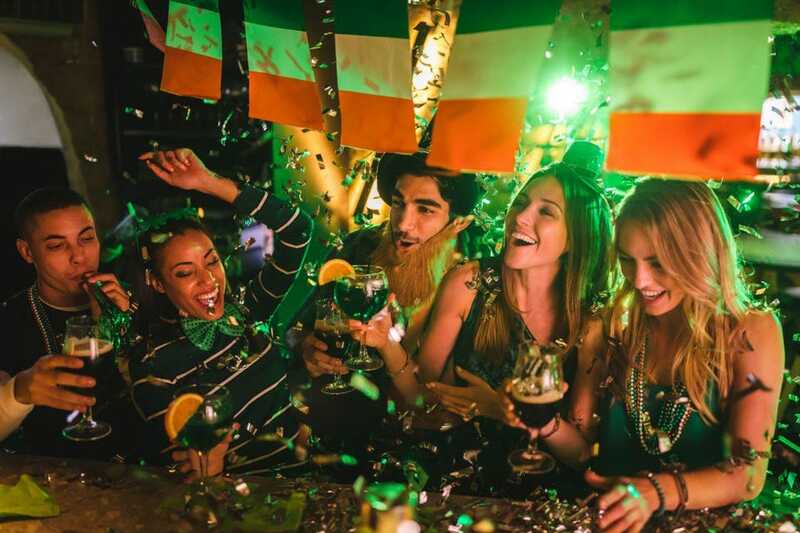 Today, when Irish and non-Irish Americans enthusiastically toast to the luck of the Irish over pints of green beer on St. Patrick’s Day, they’re simply wishing each other good fortune and the hope that serendipity plays a positive role in their lives. Good luck is a universal, human desire. Who among us doesn’t welcome a little luck when it comes to holding the winning lottery ticket or experiencing a big career break? But is luck pure chance or can you take steps to invite more of it into your life? Think about one of your earliest experiences with preparation—studying for exams in school. 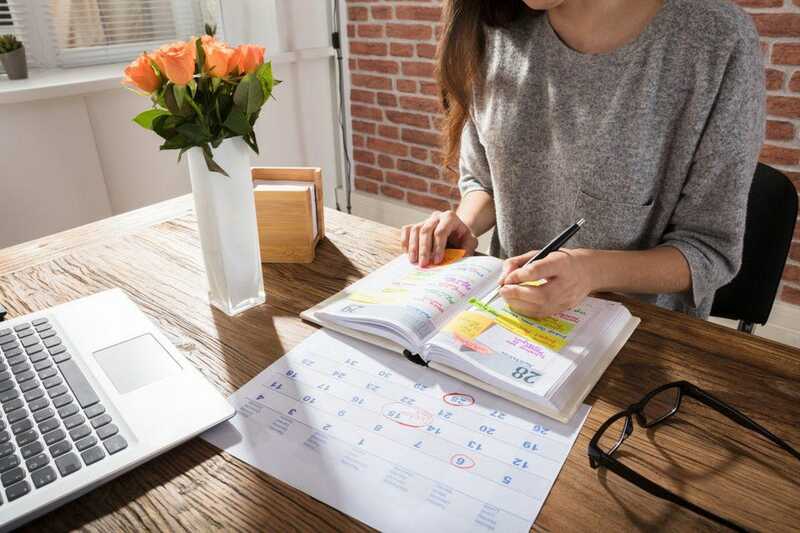 While a select few can get away with absorbing enough information to ace a test by simply attending class, the majority of us rely on focused study habits to achieve that end. In other words, the hard work that goes into preparation. That’s why the planning process focuses on clear, specific goals. That’s not to say that hope doesn’t play a role. We may hope to get married and have children. We hope we’ll enjoy good health through our retirement years and be surrounded by the friends and family members we love for as long as possible. But hope requires action. Without action, our hopes and desires are left purely to chance and dumb luck. Only when our hopes are articulated as concrete, measurable goals can strategies be developed to pursue and track progress toward them. For example, if we ‘hope’ to enjoy good health as we age, it makes sense to be mindful of what we eat and drink, incorporate exercise into our daily lives, and avoid habits and behaviors that may undermine our health. While there’s no guarantee that these steps will ensure a lifetime of good health, we open ourselves to increased opportunities to enjoy good health for a longer period of time. But it doesn’t end there. Comprehensive planning also accounts for the ‘what ifs’ in life. What if the unexpected happens—you become ill, incapacitated or die? Planning for each scenario (taking deliberate steps that can lead to predictable outcomes) is what transforms hope from an elusive desire to something attainable. Luck, on the other hand, is inert. It’s devoid of deliberate action. Simply relying on luck strips us of any power over our own circumstances. Think about the markets. It will do whatever it can to prove the largest number of people wrong at any given moment. And yes, sometimes, people refer to getting lucky in the stock market, but what does that really mean? If you buy and then sell the right stock at the right time you may be well-rewarded for your efforts. But you’re not lucky. You hopefully took deliberate action to buy and sell those shares, based more on your risk tolerance than your emotions at the time. You pushed your luck. Meanwhile, the same investor sitting on the sidelines in cash would have missed that opportunity. He or she took no action to open themselves up to the opportunity to create more. Planning not only provides a way to capture the opportunities that are right for you, but to push your luck in a manner that allows you to manage risk in alignment with your individual goals. Once you begin to view your wealth as a tool for fulfilling your lifestyle experiences and desires, taking steps to plan for and manage your wealth becomes a priority. That’s because planning provides a clear path toward achieving your desired outcomes. For example, if you hope you’ll be able to remain in your home even if you require care later in life, planning for that scenario creates the confidence that you’ll have the financial means to do so. You’re no longer simply hoping that the planets align or something outside of your control (a Leprechaun with pot of gold at the end of a rainbow) intervenes on your behalf. Planning is what helps you identify the port you’re sailing to so you can take steps to harness the most favorable winds along the way. So, go ahead. Push your luck this St. Patrick’s Day by resolving to put a plan in place for your financial future.